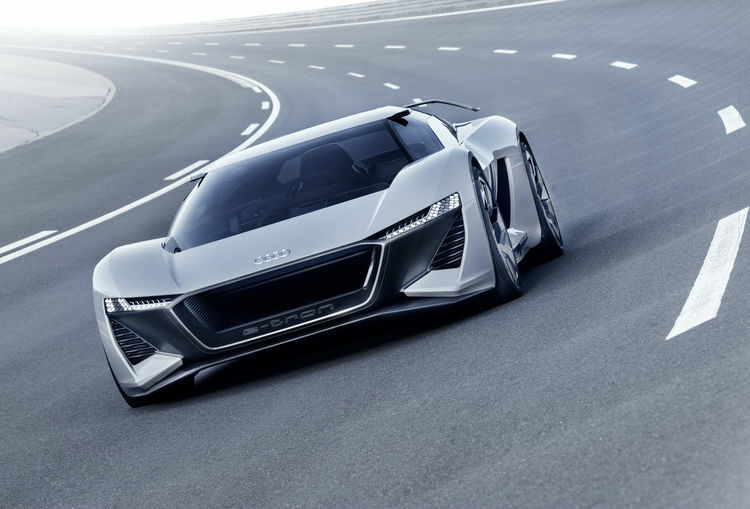 Earlier this year, Germany's Audi premiered its PB18 e-tron high-performance concept car. It is an impressive feat of engineering with three electric motors that can deliver 500kW in total. Acceleration from 0 to 100km/h will take just over two seconds. Besides the elegance of this automobile, its most important feature is below the surface: it will have a solid state battery with a 95kWh capacity. It is designed to be charged at 800 Volts, which will allow for a full charge in about 15 minutes. Solid state batteries are heralded as the future of electric vehicles. Currently, the vast majority of electric vehicles make use of lithium-ion batteries. These types of batteries are mature but have several drawbacks. They have limited capacity, are relatively slow to charge, and they can burst into flames under adverse conditions. By comparison, solid-state lithium batteries are inherently safer and have greater energy capacity. This new generation of batteries holds the promise of overcoming the greatest obstacles of wider adoption of electric vehicles: overcoming range anxiety, offering fast recharging, and providing greater safety. So what exactly is a solid-state battery? The electrolyte in a lithium-ion battery is liquid, and unfortunately this liquid tends to be highly flammable. These batteries also tend to get hot and thus require cooling space. Solid-state batteries replace the electrolyte liquid with a non-flammable solid. They also do not require a cooling system, which means the material can be packed more tightly. There is still a fair bit of experimentation with anode and cathode materials. There is a clear trend towards using different electrodes that have significantly higher theoretical capacities, including sulfur, silicon, and lithium metal. These electrodes will inherently increase energy density and lifetime. Automakers are seeing the dawn of a new age: the electric age of the automobile. Earlier in 2018, Volkswagen invested $100 million into California-based solid-state battery maker QuantumScape. The goal is to set up a production line for solid-state batteries by 2025. BMW is partnering with Colorado-based Solid Power, and Toyota is developing its own solid-state battery with ceramic electrolytes. Bosch purchased US-based Seeon. However, the commercialization of solid-state batteries is still in its infancy. The transition from laboratory to production line will still take significant work. Battery costs have decreased from USD 1,000/kWh in 2010 to USD 230/kWh by 2017. Today, some of the best in class batteries have costs less than USD 150/kWh. McKinsey's Center for Future Mobility estimates that at USD 100/kWh batteries will reach a tipping point at which EVs will be cheaper than [internal combustion engine] cars. However, it is unlikely that this point will be reached before 2025. For comparison, the table below provides projections of energy densities that can be expected in the next ten years. The future of mobility is electric. One can have great confidence in technological advances in battery technology. However, the greater challenge is economic: batteries have to become sufficiently cheap so that electric vehicles will become more affordable than internal combustion engine vehicles. That tipping point seems to be less than a decade away.